A cookie that helps you get your daily fruits and vegetables. 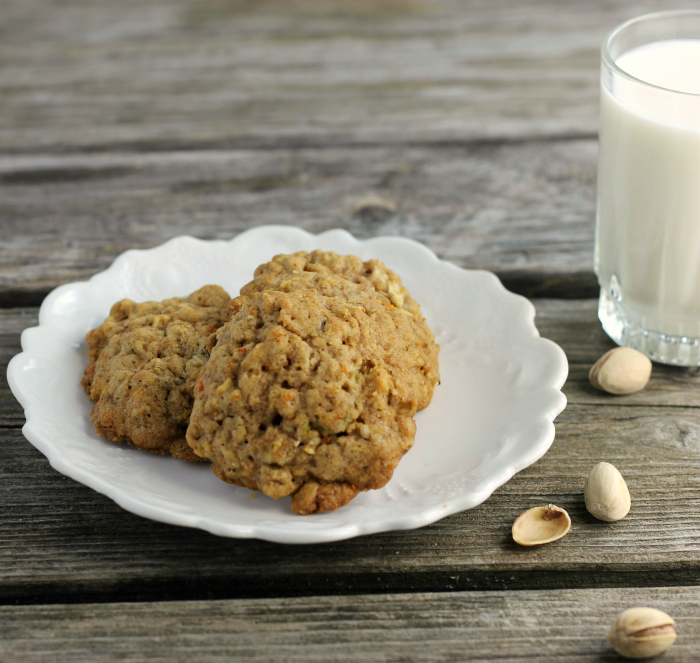 But don’t let that fool you these carrot apple cookies are a sweet treat I am sure you will enjoy. Happy Friday to all of you. Another week is behind us and we are one week closer to summer. It has been a cold dreary week, so I am happy to see it go. The weatherman is promising warmer weather for next week. I am keeping my fingers crossed that he is right. I am ready to see some sunshine. For some reason, I like to end the week with a sweets recipe. Maybe it’s to celebrate a couple of days away from the office. Or maybe I am not sure, but it always seems to end that way. I love mixing carrots and apples together in recipes. Before my blogging days, I would not have considered this combination, but I really have come to love it. To be honest with you if you didn’t know that there were carrots and apples in these cookies you probably would not guess it. 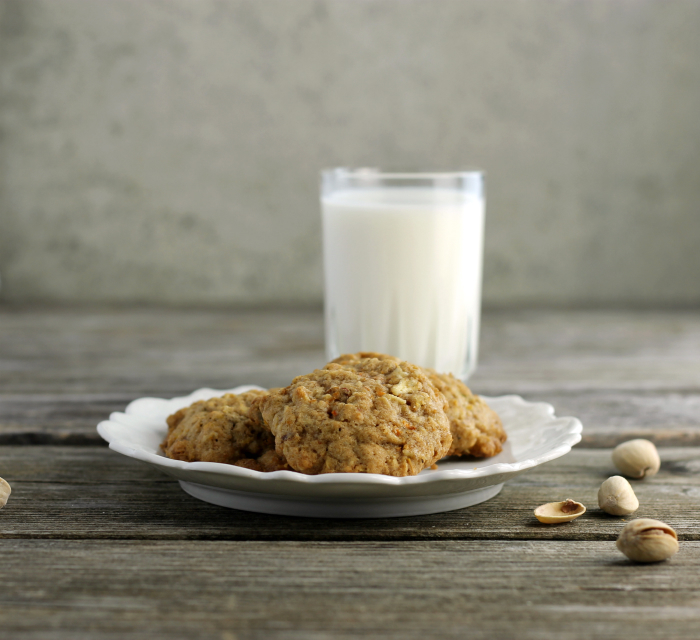 The flavors blended together hiding the fact there are fruit and vegetable in this cookie. Yeah, a great way to get your kids to eat a little extra fruit and vegetables. 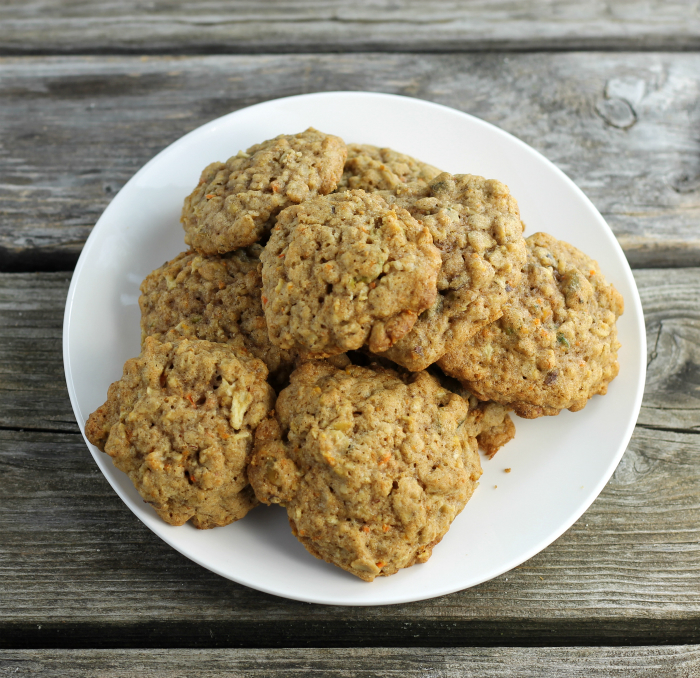 These carrot apple cookies can be eaten for dessert, or a snack, or maybe even breakfast. I noticed that my son Adam has been grabbing one of these cookies for breakfast this week. Fruit and veggie in cookies…how wonderful! I could enjoy a couple of them for the breakfast. Yummmy. I love using fruits and veggies in my bakes. I love carrot in dessert and cookies. I must add these to my to do list. Nice Post.